How to determine what version of SQL 2008 (RTM or SP1) and features have been installed? As we all know OpsMgr R2 (and with KB971541 installed on OpsMgr SP1), SQL 2008 with SP1 is supported. But how to determine the version and installed features of the installed SQL 2008 instance(s)? From many people I do get this question. So why not write a blog posting about it? With SQL 2008 life has been made very easy. With a few steps one can not only see the version of SQL 2008 but also the instances, features, language, editions and whether or not it is clustered! New KB article: Error message in OpsMgr Report: “The Dundas chart for Reporting Services report item is unavailable"
This issue occurs because there is a change in the reporting services Web.config file after you upgrade from SQL Reporting Services 2005 to SQL Server Reporting Services 2008. The changes prevent charts from being displayed within Operations Manager reports. The resolution is described in KB977574. From today until January the 4th 2010 this blog will be a bit silent since I will be on vacation. I want to thank you all for visiting my blog, your comments and advises. Thank you so much. 2010 will be an exciting year with System Center Service Manager going RTM. My intention is to work with SCSM a lot more, so my blog will reflect that as well. When OpsMgr 2007 became RTM many MPs from MOM 2005 were converted to OpsMgr MPs. Also a tool (MPconvert) was available to run a conversion of a MOM 2005 MP to an OpsMgr 2007 MP yourself. However, this tool is end of life. And not only that. Future versions of OpsMgr 2007 will not support MPs any more that rely on the backwardcompatibility library MP, since that component will be removed entirely. So whenever you want to convert a MOM 2005 MP to OpsMgr, think twice. Running a converted MP in OpsMgr is like using an appliance made for the Flintstones car in a modern car of today. Even though MOM 2005 and OpsMgr come are both meant for monitoring, the approach being used is totally different, thus the MPs being used by both products are totally different as well. Converted MPs are because of that not ‘happy’ in an OpsMgr environment. Nor is OpsMgr ‘happy’ either about these MPs. Taken from this blog posting of The System Center Team Blog. Some very interesting feeds, all about System Center Products, straight from the very source itself! The MP Catalog is moving from its old location (Microsoft TechNet) to its new home. The new location looks very modern and sharp. The transition from the old location to the new one will take a few days. Microsoft wants to know what you think about it. On the OpsMgr TechNet Forums they have started a thread about it. So feel free to comment. However, the site is still in transition so it won’t be fully operational yet. Yesterday Microsoft released OpsMgr R2 Xplat ACS which enables the collection and audit of events from UNIX and Linux Servers. Using Xplat ACS, events are collected from the desired Unix/Linux servers and stored in the ACS Database. Audit reports for UNIX/Linux Server collected events are included. How to upload a rdl-file for SQL Server Reporting Services? Got this question from a regular visitor of my blog. He found a rdl-file containing an interesting Report for OpsMgr. His question is how to get this file into SQL Server Reporting Services (SSRS). 1. Report upgrade will be difficult manual task. 2. You can not quickly move such a report from a test environment to production. 3. You'll be forced to restore the ReportServer DB in case of recovering the OpsMgr Management Group from a catastrophic failure. Got this from Alexey Zhuravlev. Thanks Alexey! Before I show the procedure, lets take a closer look at the rdl-file itself. A bit more knowledge on that topic won’t hurt at all. This is what differentiate us from a robot. Yes, they can built cars or whatever. But they haven’t got a clue of WHAT/WHY they are doing something. RDL stands for Report Definition Language which is a XML Schema which describes the report. Like a Management Pack which is also XML based. MPs follow a certain XML Schema required by OpsMgr. The same goes for RDL files which follows a specific XML schema required by SSRS. How are RDL files created? Not manually but by using graphical tools like Report Designer, Report Builder or Visual Studio. So I can open a RDL File in Internet Explorer? Yes, you can. And certainly do so. There you will see the contents of a rdl-file. However, do not alter anything of it, unless you know exactly what you are doing. But taking a closer look at it is a good thing to do. Defines the source(s) of information to be accessed by the report. Defines the parameters of the report itself, like what fields must be filled in before the report can be run. The more parameters, the more customizable a report becomes. Defines the main layout of the report itself. Not what data is to be displayed, but how. As the name states. This header defines what information will be shown in the footer of the report. Let’s move on to importing a rdl-file into SSRS. The attached file from this blog posting is being used. Click Upload File, Browse and select the rdl-file. Click Open > OK. The file will be uploaded tot SSRS. Go to the third option,Data Sources. A warning will be shown. Click Browse > select the symbol Data Warehouse Main. Its name will be filled into the Location box. The new report will be shown. Double click it and run it. Normally step 3 is not needed. For this particular file however it was. This is serious. When an event like this is logged only once it is not a real problem. Somewhere along the line of storing data in the DW a hiccup occurred and that’s it. But when this event keeps on coming back, it really needs attention. Whatever I checked all seemed to be OK. The SQL server wasn’t busy at all so it had all the resources available to do it’s job, the permissions weren’t changed. The network was OK, no DNS issues either. Nor was there any other process (like a backup) locking this database. Also the related OpsMgr MP was OK (Data Warehouse Internal Library, version 6.1.7221.0). Than something came to my mind. I had experienced a similar issue before at a customers site. OK, it was long ago (in the days SP1 had to come out), but what the heck. It solved my issue then so why not now? So I opened the OpsMgr Console, went to Administration> Run As Configuration > Accounts. In the Accounts pane there are – among other account types – also Simple Authentication Accounts defined. Two of them are directly related to the Data Warehouse: Data Warehouse SQL Server Authentication Account and Reporting SDK SQL Server Authentication Account. Applied the changes and checked the OpsMgr eventlog. Even though the EventID’s 31552 were still appearing, the frequency was far less. So I was on the right track. Time for a second step. Even though the OpsMgr databases are maintained automatically, it doesn’t hurt to run every now an then a Stored Procedure to update the statistics: sp_updatestats. I ran it against the Data Warehouse database (OperationsManagerDW) and the output showed that many tables were updated. When checking the OpsMgr eventlog, EventID 31552 didn’t occur anymore. The next day, I double checked and nope, no more errors like those (nor others as well :) ). Microsoft has released a KB article which addresses this issue: You create an Alert Notification subscription in OpsMgr Sp1 or R2. If you use the "With specific text in description" option, e-mail notification messages are not sent. When one implements an ACS Solution, a good working Noise Filter is a must in order to keep the ACS database under tight control. A correct working Noise Filter does not only keep the unneeded events (example: User X Logged On Successfully) out of the database, but keeps the database clean as well. For setting Noise Filters much good documentation is to be found, like the ACS Noise Filter Guide from Secure Vantage. This guide is part of their ACS Resource Kit. All the documentation with the related Security Events which can be filtered out, are all based on Windows 2003 Server. But what if you are designing an ACS solution for Windows Server 2008 servers? Yes, you can apply the filter as stated in those very same documents. But it won’t work since the Security Events in Windows Server 2008 DO NOT MATCH with the Security Events in Windows 2003 Server! So a translation of these Windows 2003 Server Security Events to those in Windows Server 2008 is at order. It took me some time, but finally I had all the needed resources in place: a webpage with all the Security Events of Windows 2003 Server, the ACS Noise Filter Guide from Secure Vantage AND the Excel sheet with all Windows Server 2008 Security Events. But cross-referencing all these sources of information really takes a whole lot of time. Way too much actually. It took me 30 minutes to match 5 Security Events! So it was time for another approach. When I took a closer look at the matching EventIDs which I had found, it seemed like those incremented by the same amount! Could it be? So I ran the calculator and this is what I did: EventID W2K08 – Matching EventID W2K03. And the number 4096 came out. I ran the same ‘formula’ against the other matching EventIDs and the same number came out! Looking up that EventID in the sheet for Windows Server 2008 Security EventIDs: BINGO! When having issues with properly translating Windows 2003 Server Security EventIDs to Windows Server 2008, try to add 4096 to the EventID number as listed in Windows 2003 Server. Then look in the Excel sheet for Windows Server 2008 Security EventIDs whether there is a match. Many times there will be. Windows Server 2008 IS NOT Windows 2003 Server. So many Windows 2003 Events are not found back in Windows Server 2008. So keep that in mind when using above mentioned Rule of Thumb. Kris does it again: Public Beta of the xSNMP MP Suite to be released soon! In September 2009 Kristopher Bash (aka Kris Bash) released the free Cisco MP built by himself, licensed under the GNU Public License. A great MP it is. Yes, it contains some area’s which need additional attention, but still it is a very respectful piece of work. Very soon after the release of that MP Kris told me that he is working on another MP. Also targeted at SNMP enabled devices but more generic and vendor specific. No! I am not talking rubbish here. Want to know more? Visit the blog run by Kris himself. There he explains this MP Suite in much more detail. All I can say that it looks very promising and of a very high level of quality. Great work Kris! Thanks so much. This company has already built some great MPs, like the one for monitoring Black Berry Enterprise (BES) environments or the Capacity MP which helps companies ‘predict’ the future by running trend analyses on the data present in the Data Warehouse. With their free Ping MP OpsLogix supports the community around OpsMgr. It is a great MP which I have used at multiple customer sites. Works great! Many companies do have many certificates in place. But how to keep track of them in order to know whether the certificates are still valid? This MP does it all. To be found here. It can be a real life saver. I know their are many more free MPs out there. When you know a free MP which is just as good as the MPs mentioned in this blog posting, let me know and I will update this posting. Microsoft has acquired Opalis Software. Highlight 01: What does Opalis do? Taken from their website: Opalis writes software that orchestrates, integrates, and automates IT processes such as incident, problem, configuration, and change management across the IT infrastructure - all from a single console. Opalis creates Run Book Automation (RBA) software. Run Book Automation (RBA) is the ability to define, build, orchestrate, manage and report on workflows that support system and network operational processes. Sounds like much added value for System Center doesn’t it? Highlight 02: Why has Microsoft acquired Opalis? Highlight 03: Why is process automation important to Microsoft? Highlight 04: RBA and System Center. Is there a future? Even though it is a bit early to talk about a conclusion it is not that hard to see what the future will bring. With this acquisition Microsoft emphasizes their dedication to the System Center Product range as a whole. The roadmap shown on Tech-Ed Berlin was already very impressive. With the knowledge, experience and software from Opalis incorporated into the System Center Products much added value will be found. System Center is growing up fast. Big time! Initial release was 6th of November 2009. How ever, there were some issues with it. The new release contains fixes for those issues. An update Rollup for OpsMgr SP1 has been released by Microsoft. It combines previous hotfix releases for SP1 with additional fixes. OpsMgr SP1 roles on Windows 7 and Windows Server 2008 R2. Database role and SQL Server Reporting Services upgrade support from SQL Server 2005 to SQL Server 2008. Update Rollup can be downloaded from here. The related ReadMe for this Update Rollup package can be downloaded from my SkyDrive. When you are running OpsMgr SP1 it is advised to apply this Rollup Package. Bumped into this one today. Felt a ‘bit’ stupid afterwards when I found the cause, since I have installed ACS a couple of times before, but somehow I don’t seem to remember this pitfall. Character ‘Andy’ from Little Britain. So with this posting I hope to make it stick. And the error message CreateSRSDataSource: Exception Invalid URI: The URI scheme is not valid... is born. As it turns out, this script doesn’t work on Windows Server 2008. So be aware about that. The OpsMgr Product Team has posted an excellent article about how to “chain” multiple gateways together in order to get monitoring across multiple untrusted boundaries up and running. Three examples are given with the last one being an unsupported configuration which is also good to know since the ‘Realm of Unsupported Configurations’ is something to stay away from. The same posting also writes about using Gateways in areas with poor network performance, something I also wrote about. The article about linking multiple gateways together can be found here. Found myself digging deep in order to refresh/update my knowledge on this topic. Many good things are to be found on the internet. However, some less good or contradictory stuff as well. For instance, ‘old’ news like an article stating that ACS Reporting doesn’t support Windows Server 2008 (R2). But that is NOT true. With OpsMgr R2 it is supported out of the box, for OpsMgr SP1 additional reports need to be loaded. Another shiny example is the calculating sheet for ACS DB sizing. Even though some sheets do look the same, the outcome is totally different, even though the same numbers (amount of servers and the time the data needs to be kept within the database) are being used in both sheets. As it turned out, the sheet with the highest outcome had the Events Per Second doubled, which is the result of a calculation. So I was a bit at a loss here. What to trust? Also, the servers (DCs) to be hit by an Audit Policy are going to be Windows Server 2008 (R2) based. And these servers do log a LOT more compared to Windows 2003 DCs. Of course, the script being referred to in the OpsMgr 2007 Performance and Scalability Guide can be run on a domain controller in the test environment. But then, no way 6000+ users are using the test environment. Nor do any LOBs run there, some of which are AD integrated. So the outcome of that script won’t be very useful either. Hmm. Creating a script simulating 6000+ users where 4000+ log on/off 6 times a day? (The users here are very mobile and log on and off many times a day on different workstations through out the locations.) Could be done. But the time it takes to create it, test it, correct it and run it again takes a bit too much time. An article about OpsMgr R2 ACS Reporting in conjunction with Windows 2008 (R2) and how to make OpsMgr SP1 ACS Reporting support Windows 2008 (R2). Special thanks to Graham Davies for this link. Excel sheets to have a rough estimate about how big the size of the ACS DB must be. Found here and here, contained within the ACS Resource Kit offered by Secure Vantage. 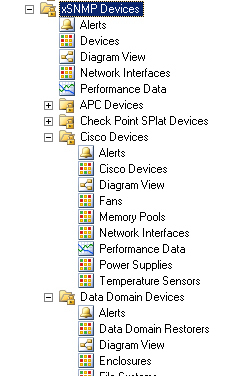 Microsoft’s online TechNet Library about ACS. Updated on May 2009. A good resource on OpsMgr. Also an article about the tools present in the ACS Resource Kit. Good posting! Special thanks to Pete Zerger. An Excel sheet with a list of all security audit events for Windows Server 2008 R2 and Windows 7. Secure Vantage has very useful information about ACS, also some video’s. Referred to as ACS Master Class Series. The search to run a good trustworthy calculation on the needed size for the ACS DB continues. When I have found it, I’ll post about it. Yesterday I attended a Influencer Live Meeting about System Center and Exchange 2010. Very interesting it was. During this meeting much was told and demonstrated about how the System Center Products like OpsMgr and DPM 2010 can aid in making an Exchange 2010 more robust and disaster proof. Jon LeCroy, Program Manager of the Exchange Team told the audience about this part of the Meeting. Like the R2 MP for Exchange 2007 has already shown, the newly released MPs have become way much better and far less noisy. This new approach is to be found in the Exchange 2010 MP as well. For noise reduction this MP is shipped with a Windows Service called the Correlation Engine. What it does? This engine uses dependencies encoded in the Health Model in order to determine the most likely root cause Alert when a problem occurs. Suppose you have an problem with the AD Driver. This has its effect on many Exchange services like EWS, EAS, IMAP, POP and OWA. In the old days this would fill up the OpsMgr Console with a whole lot of Alerts. But now only the Alert for the lowest level failure will be raised and that within a 90 second window! That is a huge improvement isn’t it? Important service impacting issue (most alerts). Issues that affect specific mailboxes but do not impact the larger system. The reporting about Mail flow statistics is based on message tracking logs. Uptime measures application/feature (Service oriented reporting), not the server itself. Availability reporting is Exchange aware. Jason Buffington, Senior Tech. Product Manager took care of this part of the Meeting. Very interesting it was as well since some new high lights of DPM 2010 were being shared with the audience as well. For instance, DPM 2010 will be capable of backing up servers residing in workgroups and/or DMZs! In the beta version this option isn’t available. But in the RC version it is very much likely to be present! Nice! The most important message of this part of the Meeting was about the way DPM 2010 integrates tightly with Exchange (2010) and the way it backups the data. Only the native VSS Writers for Exchange is being used here, so the data is correctly backed up in a way that Exchange fully supports, so there is always a way back. And not just that, but one can go back 15 minutes up to 30 days (for instance) with only a few mouse clicks. Again, DPM 2010 takes care of the rest! Also the fully transparent interface and wizards do take away many questions people do have to answer when using other backup products, like creating backup schema’s with full backups and the lot. Also where the data resides is taken care of. So no more hassle. Just implement a valid backup schedule/schema and be done with it. Also the way DPM 2010 checks its own health is great. Really Set & Forget! Wish I had a backup tool like that in my days being a Systems Engineer. Would have saved me many many days! :) And the company I worked for many euro’s! A very interesting Live Meeting it was. An hour very well spent. The only ‘bad’ thing was that it was only one hour :). Time really went fast and both speakers had way much more to tell. Future sessions I will certainly attend.